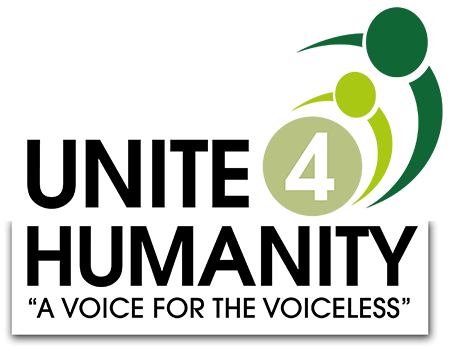 Everyone will be treated with dignity and respect at Unite 4 Humanity. Bullying and harassment of any kind are in no-one’s interest and will not be tolerated in the workplace; this includes bullying or harassment of staff by visitors to Unite 4 Humanity. This policy applies to all Trustees, members, volunteers and staff on and off the premises, including those working away from their main office, place of work. Bullying and harassment will be treated as disciplinary offences. Harassment, in general terms is unwanted conduct affecting the dignity of men and women in the workplace, where actions or comments are viewed as demeaning and unacceptable to the recipient. It may be related to age, gender, race, disability, religion, belief, sexuality, nationality or any personal characteristic of the individual, and may be persistent or an isolated incident. Bullying or harassment may be by an individual against an individual or involve groups of people. It may be obvious or it may be insidious. It may be face to face or in written communications, electronic (e)mail, phone. Whatever form it takes, it is unwarranted and unwelcome to the individual. It may take place in private or in public. preventing individuals progressing by intentionally blocking promotion or training opportunities. Legitimate, constructive and fair criticism of an employee’s performance or behaviour at work is not bullying. An occasional raised voice or argument is not bullying. Complaints of bullying and/or harassment, or information from staff relating to such complaints, will be dealt with fairly and confidentially and sensitively using the general format set out in Unite 4 Humanity’s grievance procedures. However bullying or harassment will not be treated as a standard grievance; it is a serious issue and will be treated as such. Where complaints of bullying or harassment involve your line manager approaches should be made to another appropriate manager. Complaints will be taken seriously and investigated promptly, objectively and independently. Decisions can then be made as to what action needs to be taken. If appropriate, the matter will be dealt with informally; sometimes people are not aware that their behaviour is unwelcome and an informal discussion can lead to greater understanding and an agreement that the behaviour will cease. More serious cases of bullying or harassment will be dealt with under the organisation’s disciplinary procedures. Where bullying or harassment amounts to gross misconduct, dismissal without notice may be appropriate. The person making the complaint will not be moved unless they ask for such a move. Counselling or mediation may be considered, particularly where investigation shows no cause for disciplinary action, or where it may be useful to help resolve the issue or help support the person accused as well as the complainant. Employees lodging a complaint will not be disciplined for doing so unless somebody makes an unfounded allegation of bullying and/or harassment for malicious reasons. The case will then be investigated and dealt with fairly and objectively under the disciplinary procedure. The aim of these procedures is to ensure incidents of bullying and harassment can be recognised and dealt with. Behaviour that is considered bullying by one person may be considered firm management by another. Most people will agree on extreme cases of bullying and harassment but it is sometimes the “grey” areas that cause most problems. Bullying and harassment can often be hard to recognize – they may not be obvious to others, and may be insidious. The recipient may think “perhaps this is normal behaviour for Unite 4 Humanity”. They may be anxious that others will consider them weak, or not up to the job, if they find the actions of others intimidating. They may be accused of “overreacting” and worry that they won’t be believed if they do report incidents. People being bullied or harassed may sometimes appear to overreact to something that seems relatively trivial but which may be the “last straw” following a series of incidents. There is often fear of retribution if they make a complaint. Colleagues may be reluctant to come forward as witnesses, as they too may fear the consequences to themselves. They may be so relieved not to be the target of the bully that they collude with the bully as a way of avoiding attention. Bullying and harassment makes someone feel anxious and humiliated. Feelings of anger and frustration at being unable to cope may be triggered. Some people may try to retaliate in some way. Others may become frightened and demotivated. Stress, loss of self confidence and self- esteem caused by harassment or bullying can lead to job insecurity, illness, absence from work, and even resignation. Almost always job performance is affected and relations in the workplace suffer. It is not possible to make a direct complaint to a tribunal about bullying. However, employees might be able to bring complaints under laws covering discrimination and harassment. Employers have a duty of care for all their employees. If the mutual trust and confidence between employer and employee is broken – for example through bullying and harassment at work – then an employee can resign and claim “constructive dismissal on the grounds of breach of contract. Employers are usually responsible in law for the acts of their workers. Breach of contract may also include the failure to protect an employee’s health and safety at work. Under the Health and Safety at Work Act 1974 employers are responsible for the health safety and welfare at work of all employees. The Health and Safety Executive’s “Guidance on stress in the workplace” includes the advice that “stress should be treated like any other health hazard” and that employers have a “legal duty to take reasonable care to ensure health is not placed at risk through excessive and sustained levels of stress”. Management should be clear about the standards of behaviour expected, set a good example in their own behaviour and ensure that individuals are fully aware of their responsibilities to others. Bullying should not be treated as a standard grievance; it is a serious issue and must be treated as such. Complaints of bullying and / or harassment, or information from staff relating to such complaints, must be dealt with fairly and confidentially and sensitively using the general format set out in the organisations grievance procedures. Complaints must be taken seriously and investigated promptly and objectively. Employees do not normally make serious accusations unless they feel seriously aggrieved. The investigation must be seen to be objective and independent. Decisions can then be made as to what action needs to be taken. In some cases it may be possible to rectify matters informally. Sometimes people are unaware that their behaviour is not welcome and an informal discussion can lead to greater understanding and an agreement that the behaviour will cease. It may be that the individual will choose to do this themselves, or they may need support from a manager, a colleague or an employee representative. Counselling or mediation may be used where appropriate, particularly where investigation shows no cause for disciplinary action, or where doubt is cast on the validity of the complaint. Counselling may be used to resolve the issue or help support the person accused as well as the complainant. In cases which appear to involve serious misconduct, and there is reason to separate the parties, a short period of suspension of the alleged bully/harasser may need to be considered while the case is being investigated. The person making the complaint will not be transferred unless they ask for such a move. When somebody makes an unfounded allegation of bullying and/or harassment for malicious reasons the case should be investigated and dealt with fairly and objectively under the disciplinary procedure.